With each new improvement, the power, speed and capabilities of the computer have increased, as has the demand for computing power. Some managers have questioned the necessity of continuously upgrading computing technology when its efficient use is dictated more by the speed of the user than by the speed of the processor. These observations have led to the questioning of the value that continued processor speed upgrades add to end user productivity. 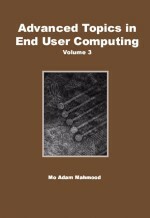 This chapter identifies the impact that upgrades in processing speeds of personal computers have on end user productivity. A controlled lab experiment was conducted to measure the impact that processor speed had on student output. Based on the results of the experiment, it was observed that end user productivity (as measured by an increase in the amount of work completed) improved.